If you have not gotten any neck piece from Happiness boutique please do. They have beautiful and adorable jewelries. 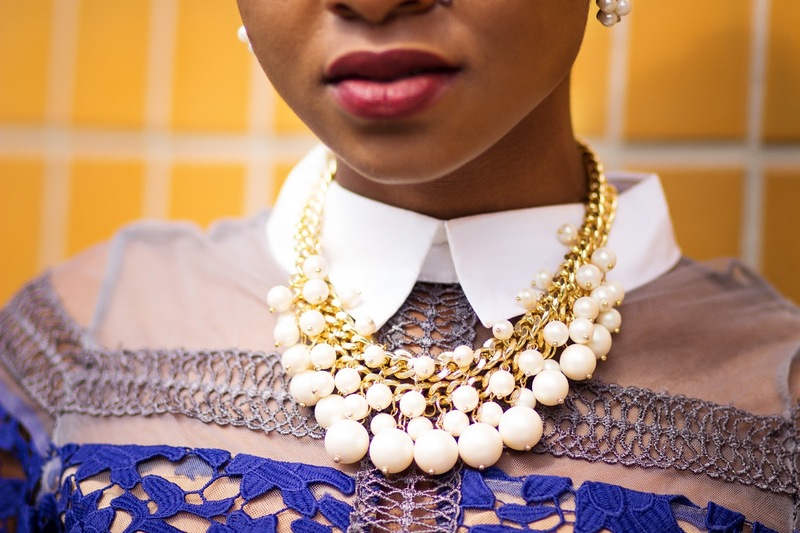 I am wearing the pearl blossom Statement necklace. 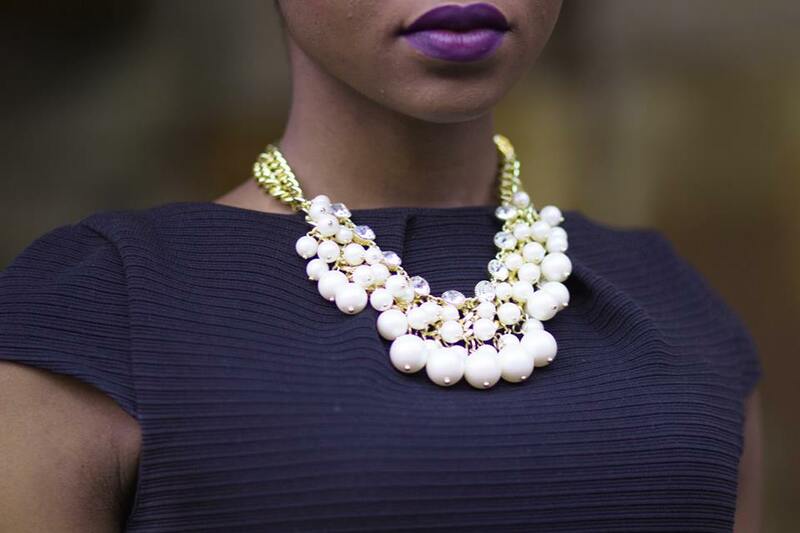 This necklace is so lovely, i love the elegant stones and pearls used to design around it. This neck piece can be worn both with a a formal and casual outfit. Get earrings, bracelets, rings and clothing's from the online store. I styled the necklace in my previous post (here) with a black dress. 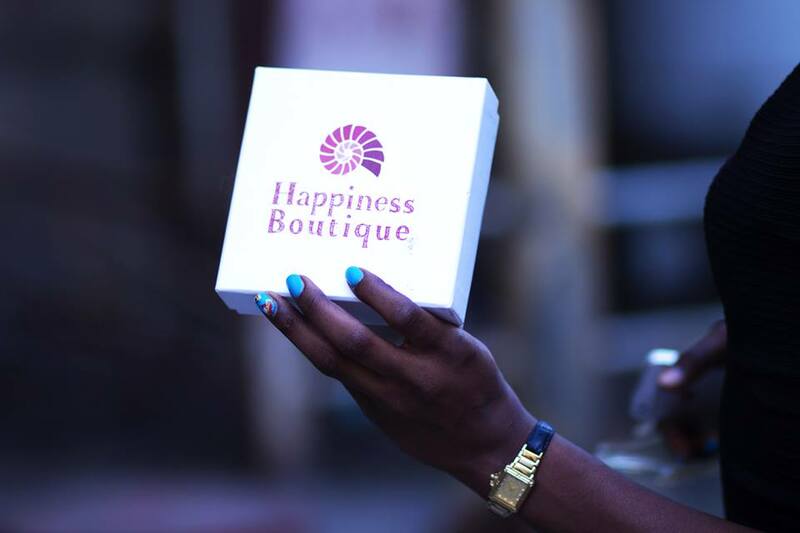 Tomorrow i will be sharing the full details of this outfit, i am going to tell you more about happiness boutique. Below i am wearing the giant vintage blue sea. 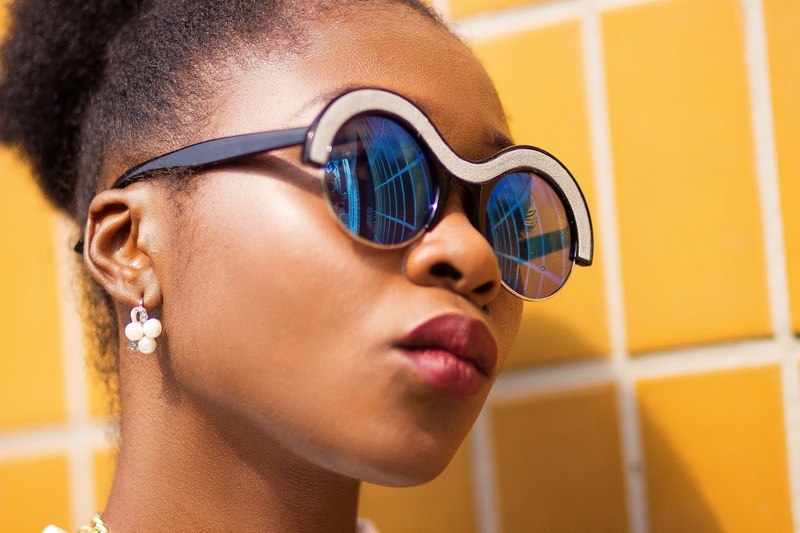 Check them out for stylish and limited eye wears.